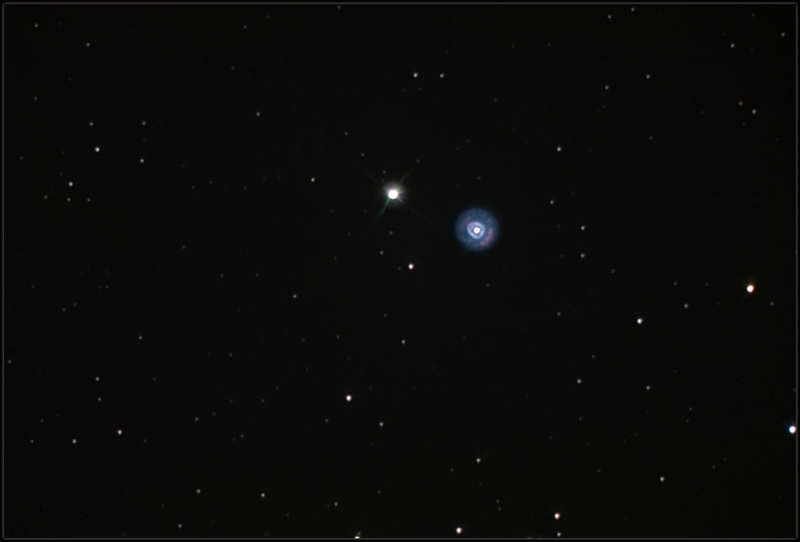 The Eskimo Nebula is a planetary type nebula. It is composed of a shell of gas thrown off by a star nearing the end of its life. It is approximately 3,000 light years distant from the Earth. Image acquired using SBIG St-10XME camera with Astrodon filter set through 12" Meade Lx-200 GPS telescope with AO-7 Adaptive Optics Unit.